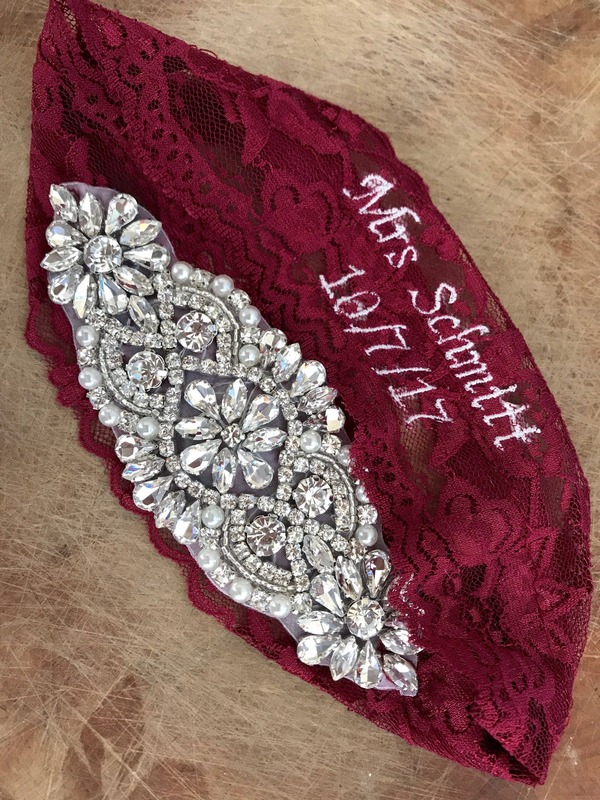 Add custom ebroidery to any garter set in my store! Please select color and style. Leave the words or letters you want embroidered in the notes when you checkout. 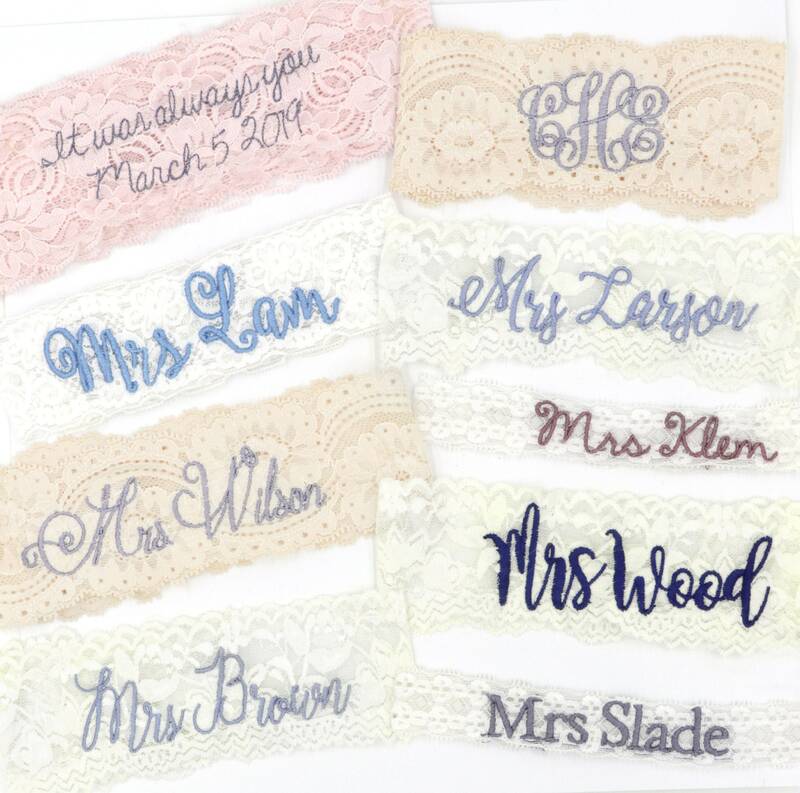 Please specify if you would like the embroidery to go on the toss garter or the main garter. 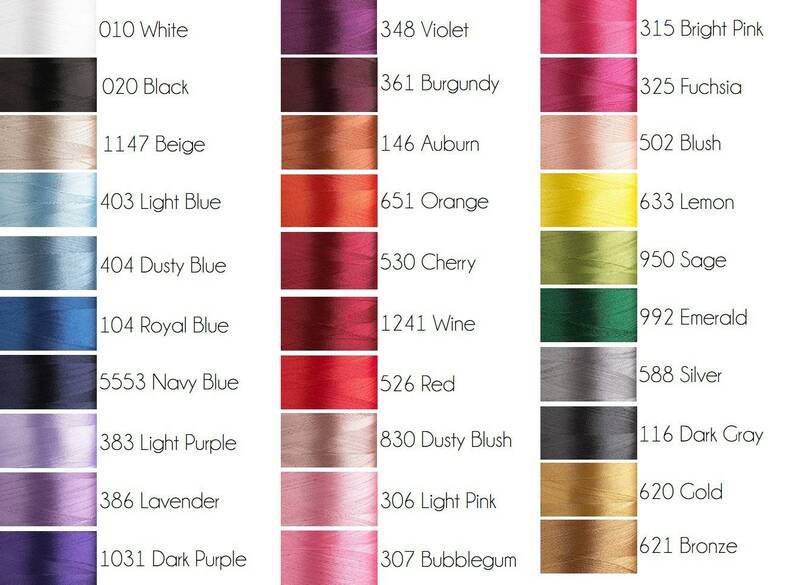 Each quantity of 1 of this listing is for embroidery on 1 garter. If you want embroidery on both garters then you will need to order 2 of these. 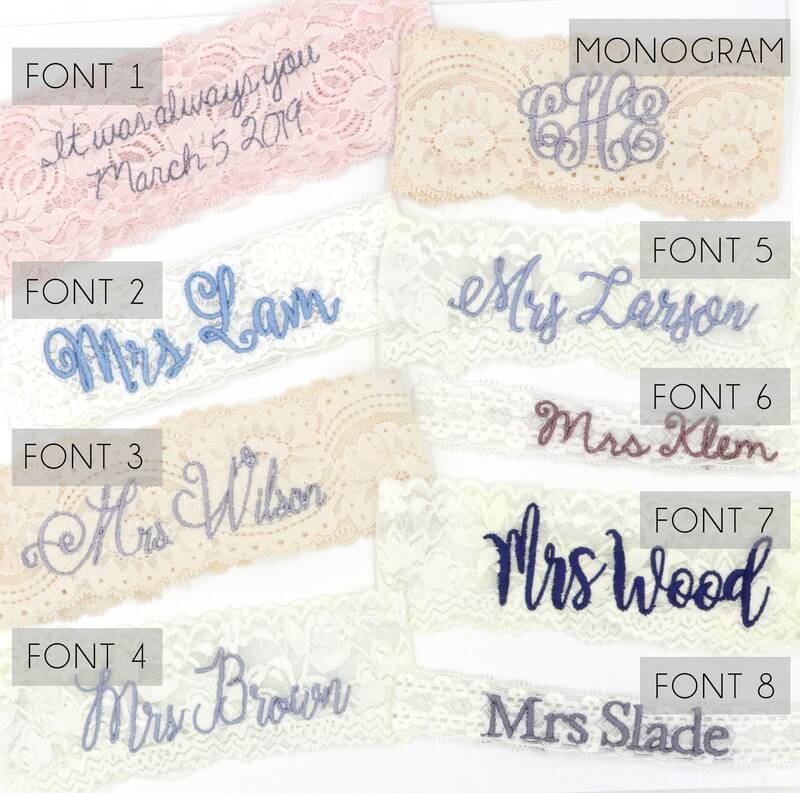 For monogram orders please leave the letters in the order you want them to appear on your garter. If you have any special requests please don't hesitate to contact me, I am more than happy to work with you to help make your vision come to life!